In the Kyaukpyu Township in western Burma a mud volcano has erupted, spewing mud over three village tracts and wiping out over 100 acres of paddies fields. There have been no reports of injuries. The eruption happened around 5 p.m. on Sunday, according to the Rakhine Social Network Information Centre’s Htun Htun Naing, who confirmed that there were no deaths or injuries. 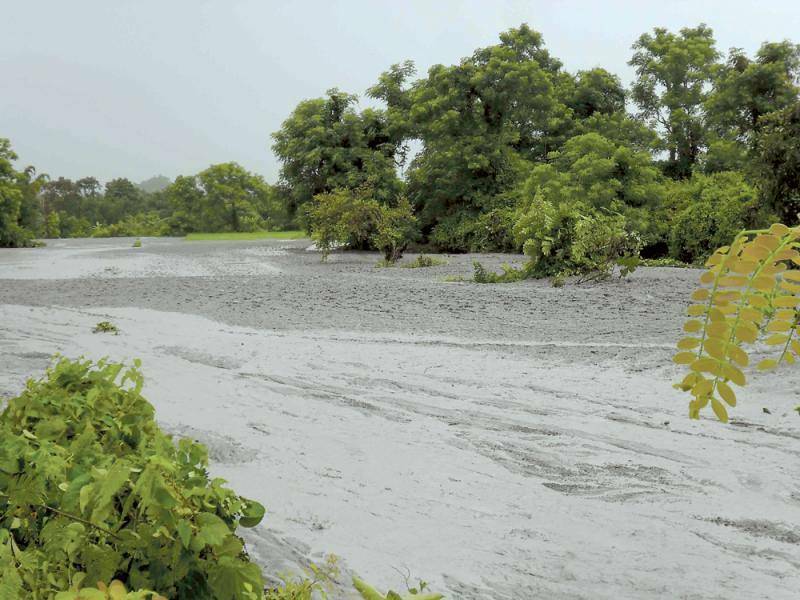 Mud has been flowing, however, toward land that is reserved for the Kyaukpyu Special Economic Zone, causing concerns. On Tuesday, Shauk-Chaung resident Kyaw Win told one publication that more than 90 acres of pastures and rice fields have been covered in mud but that no homes have been destroyed. The village of Shauk-Chaung is located within a half-mile of the SEZ boundary. Two village tracts have also been impacted, bringing the area of devastation to between 100 and perhaps as much as 200 acres. There are a number of mud volcanoes in the Arakan State. These natural occurrences spray warm mud when a significant amount of abiogenic hydrocarbons build up inside them. They also release harmful gases. More than 85 percent of the gas is methane. There is also carbon dioxide and nitrogen among the gases. Previously, there had been news reports that the Kyaukpyu SEZ might be moved from the area near Sit Taw and Si Maw because of the discovery of a mud volcano in the planned location. According to a report cited by a news agency in June, an advisory group had suggested moving the SEZ to a location where safety could be better assured. The town of Kani, located south of Kyaukpyu, was being considered as the new site for the zone at that time.